If you’re scouting out different locations to call home in Southern California, and the idea of living in a historic town with a diverse community, great dining and shopping, and close proximity to all things adventurous, read on! To assist your moving and storage endeavors, we talked to professional Storage Associate Kevin Walker about how Alhambra’s A-1 Self Storage facility can be of service! Our Alhambra location was named “Facility of the Year” out of 45+ A-1 Self Storage facilities, and Kevin believes two major things made that possible. “It takes dedication to the work that the customers are served, and also persistence in doing an A-1 job every day,” he said. Below we’ve highlighted some of the area’s greatest assets in hopes of encouraging everyone to check out why the city of Alhambra is way more than “just another suburb” of Los Angeles. 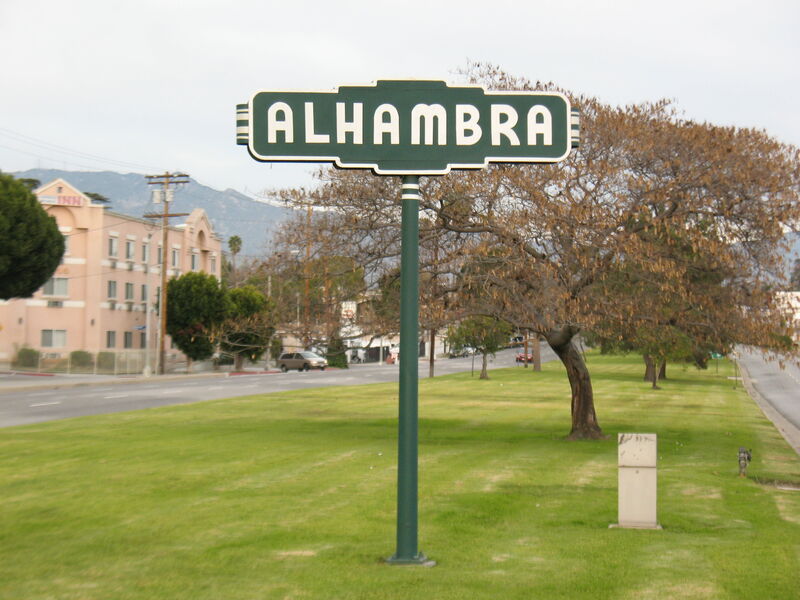 While the city’s history began in 1771, it wasn’t until July 11, 1903, that the City of Alhambra was officially incorporated. This resulted in a broad variety homes being built and preserved over the decades, including craftsman, bungalow, Spanish Mediterranean, Spanish Colonial, Italian Beaux-Arts, and Arts and Crafts style homes. Historians, tourists, and locals just can’t get enough of this town that has been promoted as the “City of Homes.” If you’re looking for something a little newer, there are a large number of condos and apartments, especially in Downtown Alhambra. Neighborhoods outside of the downtown area are generally quiet, and twenty-six of them have been designated historic neighborhoods by the City. Some of the more well-known neighborhoods include the Bean Tract, the Midwick Tract, the Airport Tract, and the Emery Park area. If you are hoping to buy in Alhambra, be prepared to buy fast! Inventory is low and demand is high due to the good schools, easy access to the 10 and 710 freeways, and its proximity to downtown L.A.
Just like the surrounding neighborhoods, the A-1 Self Storage facility in Alhambra has a charming presence. Built in 2014, manager Kevin says this location was designed to be neighborhood friendly, and leave as little a footprint as possible. “You don’t see large areas of driveways that might detract from the neighborhood. A lot of people assume that we’re an office building because it blends in well. It even has the color scheme,” he said. Instead of speed bumps, large parking lots, and fences, A-1 has opted to ditch the utilitarian aesthetic. With its lovely landscaping and clever building design, not only do customers love the easy access and ample security measures, but also the building’s low-impact profile. But enough about where you spend your time inside. What about outside? If you hate having to deal with four seasons, you’re going to LOVE Alhambra. The climate is generally mild, with temperatures being around 81 degrees on average. In the winter months, the temperature tends to dip no lower than 50 degrees but delivers rain more often than in the summertime. Within the city limits of Alhambra, there are six parks, tennis and volleyball courts, playgrounds, and covered picnic areas. If you like to go big, why not take a short drive to Angeles National Forest or Mt. San Antonio (aka Mt. Baldy)? Perhaps the beach is more your speed. If you drive the same distance but toward the coast, you can visit Long Beach or Manhattan Beach! Living in this city really puts you in a great spot for fulfilling your need for outdoor adventure. But do you have enough space to store all the gear you’ll need to truly enjoy everything the area has to offer? Let A-1 Self Storage help! We have our doors open from 6 am to 10 pm all days of the year, including holidays. We also have units ranging from 5x5 to 10x35 to accommodate all your recreation gear storage needs! The Alhambra community is diverse, friendly, and loves to celebrate! A couple annual festivals to attend with family or friends include San Gabriel Valley Lunar New Year Festival on Valley Boulevard, and Taste of Alhambra which celebrates local food and spirits restaurateurs. The Renaissance Plaza also hosts First Fridays street festivals monthly to help keep the good vibes rolling! And you don’t forget about the annual Alhambra Pumpkin Run! People really love getting involved, improving and maintaining their healthy community culture in Alhambra. Similarly, Kevin works to create that same kind of community within the walls of our storage facility. He says that the staff sweeps the facility throughout the day, both in the literal and metaphorical sense. “We do have a janitorial service that comes once a week, but we’re out there most of the time. We like to see what’s going on visually. Anything that needs to be fixed, we catch it first,” he said. This ensures that customers know that their belongings are being cared for and if they need anything they feel comfortable enough to let the staff know. It also deters other customers from breaking the rules and regulations. The facility was designed with ease of access and security in mind. The elevators use a system in which the code that customers enter will take them directly to their floor, and then that same code will allow them to access their individual unit. When the customer wants to leave, no code is required, and if they happen to be leaving near closing hours at 10:00 p.m., they won’t be locked in. Using this system allows customers the convenience of a “two code” security system instead of multiple barriers to entry (or exit). In addition, all the doors are armed by Bay Alarm and monitored 24/7 by security cameras. With all that, customers can visit their units freely and leave them with peace of mind. Foodies will love Alhambra’s eclectic offering of international cuisine. Charlie’s Trio Cafe will satisfy your desire for authentic Italian dishes, while Mahan Indian Restaurant will wow you with its premium “all you can eat” lunch buffet and an extensive selection of Indian food! But of course, no food lover’s tour would be complete without a trip to Toros Japanese Fusion Seafood restaurant, which takes sushi and classic Asian plates to a whole new level. Top it all off with Fosselman’s Ice Cream Co, and you ’ll be able to sleep easy until you’re ready to take on another day of awesome eats in Alhambra! Of course, we know that all this food is just fuel for fun and shopping. Our recommendation is to check out Downtown Alhambra, which will satiate your craving for fashion and home goods boutiques, as well as weekly farmers markets! If you find yourself in need for shipping supplies or storage boxes for when you get to Alhambra, skip the lines at the other places and stop by A-1 Self Storage! With boxes ranging from your basic book to wardrobe size, along with packing materials like packing peanuts and tape, Kevin says that it makes moving really convenient. “We’re open for anyone to purchase supplies, you don’t have to be a customer,” he said. Kevin added that A-1 offers a 25% discount if you buy 10 or more boxes of any size. Should you need additional assistance, the facility offers pushcarts, and there is a truck rental facility that is only 5 minutes away. So, Are You Ready to Move to Alhambra? We hope that after reading this article, you are! If you need to do some more research that’s okay, too. After all, making the decision to move to a new city is a big one that shouldn't be taken lightly. So take your time, because the City of Alhambra isn’t going anywhere! With its historic neighborhoods, great proximity to the great outdoors, shopping and dining, along with a vibrant and close-knit community that truly cares and loves its festivals, Alhambra is bound to continue cultivating greatness for a very long time.